MAXQDA 2018 was released in december 2017. You can find information about the features that were introduced in MAXQDA 12 (2015) below, but it is not the current version of MAXQDA and can not be purchased from the MAXQDA online shop. Click here to learn about the new features of MAXQDA 2018. What’s new in MAXQDA 12? MAXQDA 12 is designed from the ground up for both Windows and Mac computers, providing researchers with an identical user experience and access to our rich set of features. When you buy MAXQDA 12 you can install it on both Windows and Mac computers and exchange projects between both versions. This makes MAXQDA the only full featured QDA software that works seamlessly across both platforms. The new MAXQDA user interface combines clarity and efficiency with modern software design, looking equally stunning on Windows and Mac. We made sure that every icon and every element follows an intuitive design language that is easy to understand and efficient to use while looking sharp and colorful on large high-resolution monitors as well as small notebooks. Focus groups are an effective way of capturing the knowledge, interpretations, and opinions of multiple individuals at once. 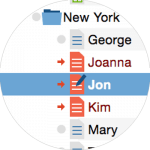 MAXQDA 12 supports you in working with data material that combines the voices of more than one person with new analytical tools. Each speaker can be treated as a single case, giving you access to the powerful spectrum of MAXQDAs retrieval and visual tools for each single person or for the whole focus group at once. We know that twitter is an important data source for a growing number of researchers. From now on you can search and import tweets using all of Twitters powerful advanced filter options from right inside MAXQDA. Automatic coding options for authors and hashtags will save time and boost your social media research. Tabs are already a great way for working with more than one document. But with MAXQDA 12 it is now possible to open up a second document window to view two documents side by side. This is especially useful for creating links between documents or for summarizing and reviewing literature. Creative Coding supports open coding and helps you to build categories: Visually arrange and structure codes and themes on a blank canvas. Relations are easily created via drag and drop and the finalized structure can be transformed into the MAXQDA Code System you can then use to continue your analysis. Perfect for open coding and Grounded Theory! Compare and explore data differences and similarities on an incredibly deep level. The similarity analysis looks at both qualitative and quantitative information and analyzes which documents are the most similar based on codes, code frequency and statistical values. This new Mixed Methods feature of MAXQDA 12 helps you identify groups and patterns in your data. The new survey import creates new flexibility for your survey data. Don’t worry about naming and ordering columns or marking variables with special characters. Just import your Excel table and MAXQDA helps you take care of the rest. For long term studies it is now also easier to add multiple waves of data to your already existing analysis. Using document portraits to visualize codes and to characterize single cases? MAXQDA 12 adds new visual retrieval opportunities. You can now “clean up” portraits to be neatly organize by code color, retrieve coded segments from inside document portraits, and stack colors into bars which enables you to immediately see which codes take up the most space. Allowing you to summarize data into your own words is one of the strong points of MAXQDA. The new version takes this feature even further. MAXQDA 12 improves the way variables are displayed in Summary Tables and links your summaries deep into the original data, making them quick to read, export and present to others. The new “Overview of summaries” enables you to display all your summaries for one document, a group of documents, or a code, while easily putting them together in compact lists. With the introduction of ‘MAXQDA Analytics Pro’ you can bridge the gap between qualitative and quantitative analysis with an all-in-one software that excels at both. 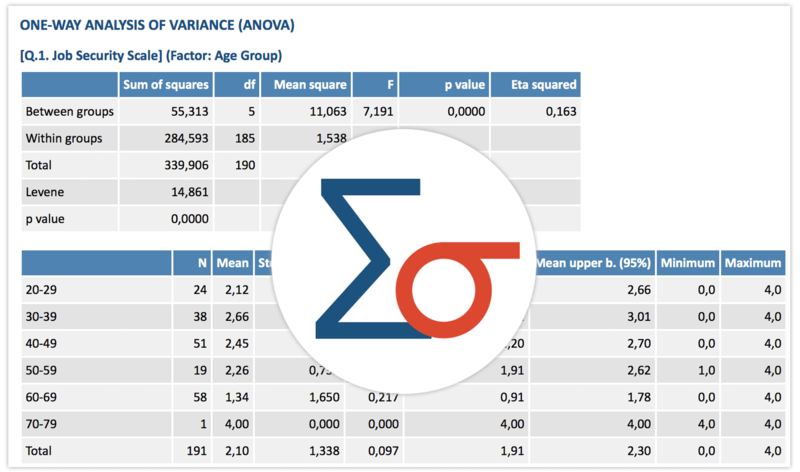 Learn more about the statistical data analysis features of MAXQDA Analytics Pro.